London born rapper, singer/songwriter Kay Fuego found his passion for music when he was just 7 years old - growing up with the influences of 80s & 90s rap, hip hop, ragga, dancehall, reggae, soca, rock and metal. At a young age, Kay found a love for Skateboarding and the whole culture around it, with other interests including the likes of street art and Basketball. After finishing school and going on to study business and marketing at college and then university, his love and hunger for music urged him to start producing instrumental beats at the age of 17 and quickly turned to him writing his own songs and raps. Beginning as just a fun hobby with his friends and playing around with bars and beats in their university dorms, Kay joined forces with his close friend “Astro” and duo soon created a unique sound together which encompasses the diverse music genres in which they have been influenced by from being raised in a multicultural city like London. 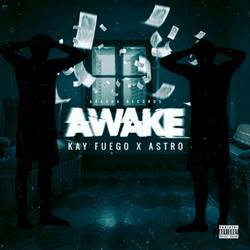 This new sound aims to bring a refreshing experience to the global music scene and brings listeners into the creative minds of Kay and Astro. London born rapper, singer/songwriter “Astro” has always had a love for music. Coming from a Nigerian background and household he was listening to Yoruba music and Nigerian legends such as Fela Kuti. Although having Nigerian Parents, Astro had always been listening to a variety of music. From the likes of Whitney Houston to Erykah Badu but also spending a lot of time with his older brother which resulted in becoming interested in Grime music and a collection of Grime artists. His love for Grime rapidly grew as he got older. From secondary school, right through to studying at university he had dreams to peruse a career in basketball and studied the NBA religiously. Being friends from the beginning of school and then evolving into young men, Kay and Astro decided to fuse their creativity and knowledge and began producing music together. This new sound aims to bring a refreshing experience to the global music scene and brings listeners into the creative minds of Kay and Astro. The song “Awake” is based on the struggles of money related problems, such as bills needing to be paid and having enough money to be able to do the things you enjoy – and these worries keeping you awake at night.